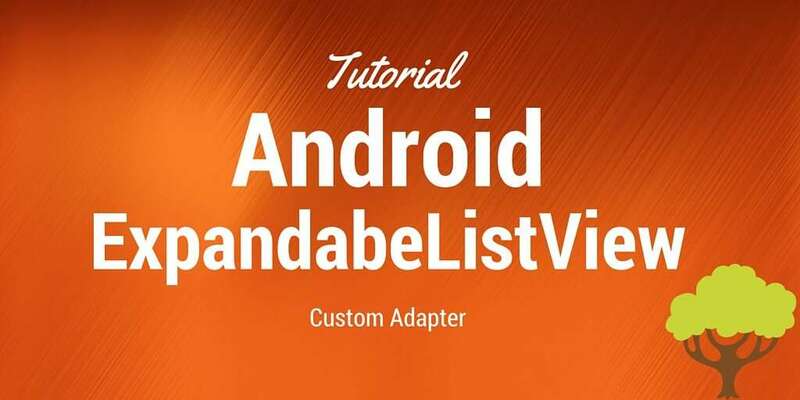 This tutorial describes how to use Android ExpandableListView with Custom adapter and in more detail BaseExpandableListAdapter. In the previous post we talked about ListView and how we can use it. Android OS has another widget that can be useful when you want to group items, this component is called Android ExpandableListView. This component has the capability to group items and when user clicks on the group it expands showing items. This component can be used when we have a long item list and it can be divided in groups to organize them and make things less confused. As it is shown above, we need two different layout: one for the group and another one for items. So it is a little bit more complex than a listView even if the concept behind this component it is the same. We need to develop an adapter and two layouts. Let’s suppose we have two classes that represent our model: one is the Category class and another one is the ItemDetail. Category holds a list of ItemDetail so Category class is like a Group (see above) and ItemDetail is an item. We made things really simple. Now we have our layouts we need to create an adapter to handle items and groups and bind them together. To create a suitable adapter for Android ExpandableListView, we have to extend BaseExpandableListAdapter. If you read the documentation about this abstract class you can notice we have to implement some methods. We could use SimpleExpandableListAdapter that implements some methods already, but we want to have a deeper control about our adapter. View getGroupView(int groupPosition, boolean isExpanded, View convertView, ViewGroup parent) used when we need to create our group View. So we have to override these two methods so that we can use our layouts. There are other “helper” methods that we need to implement in order to know the total number of child (items in our case), the child ids, the total group (category) number and the group ids. As you can notice in the method we receive the groupPosition and the childPosition this one specify the the child position inside the category (group). The code is quite trivial we simply inflate our item_layout and then we retrieve first the group inside the category list at groupPosition and then the child (ItemDetail class) inside the list held by Category class. What about other methods?…Well they’re really trivial and we don’t need to explain them. how to add sliding animation? what kind of animation would you like to add? Can't thank you enough. It was useful. I wanted to see the customization for group and Item separately. This is what i wanted exactly. how load bd in function initdata()? What's bd? If you mean data you can download the source code at github and you can find how data is initialized. Let me know if the answer is what you are looking for. how to delete the item from the list after I clicked it? i want to expand row by clicking buttton and using simple base adapter not expandable?can any body help me ? You’ve not defined catList and you also defined itemList in the class for Category properties not Item properties. You've not defined catList and you also defined itemList in the class for Category properties not Item properties. Where did you define “catList” and why is itemList defined in the Category class? Can’t you find it in the source code? Where did you define "catList" and why is itemList defined in the Category class? Can't you find it in the source code?